I read ALL kinds of fantastic reviews of Aurifil thread. Everyone in the quilt blogging world LOVES it. So I bit and bought a spool of white 50 wt thread excited to try it out....it's supposed to be wonder thread...found an empty bobbin and started to wind a bobbin. I got half way through the bobbin and it started nesting. So I unwound the bobbin and tried again. I have wound thousands of bobbins on my machine and can only think of one or two that have nested (thread art thread and I don't get along. It ALWAYS nests) and bobbin two was great....I only wound half a bobbin and there was no nesting. Started quilting my quilt and I can honestly say it's amazing thread. It sews like a dream. Strong, even straight stitches and a little goes a LONG way. And I needed a second. So I start winding the bobbin at a much slower speed (and anyone who knows me knows that slow is not my favorite speed.) and so far so good....then BAM. NEST!!! I don't understand. I don't know what I am doing wrong but I have only ever had nesting issues with cheap thread, not the good stuff. I wind bobbins all.the.time and no issues. And TWO nests with the super duper expensive thread??? UPDATE: After consulting with SEVERAL bloggers (and Alex from Aurifil) I fixed the problem. It was simple really. I was able to wind a bobbin using the sidewinder bobbin winder and it works fantastically in my machine. It really is wonderful thread! The only thing I can tell you is that when I use Aurifil, I have to keep the spool vertical - can't use it horizontally - not sure how you were using it - but putting the spool upright on my machine or even beside my machine is the only way I can get it to work - But it is my very fav in the whole world! Hope you figure out what was happening! Because once you do, you'll be hooked! My experience won't help - not one of my machines would work with it. Not sure what kind of machine you use, but I would check a few things before ruling out the thread. Some machines have a specific direction you must place the bobbin to wind it. I have a Babylock and someone from a guild showed me that at least on my machine I the bobbin only works well when put one way on my winder. I have to pop the bobbin on and twist until it clicks. If it doesn't click I need to flip it over. Who knew? Looking at it, you'd never know it mattered. The other thing I'd suggest is consulting your manual to find out if you're properly threading the machine when you wind it. If I don't thread mine just right and it doesn't get caught in the tension properly the thread "jumps" while it's winding and I get nesting. Aurafil is a very thin thread so I suspect the weight might be the issue. You could also try holding the thread yourself between your fingers and apply the tension that way - it would allow you to wind faster while still preventing nesting. The only other suggestion that I've heard that the teflon donut shaped discs that go inside the bobbin they sell help prevent nesting while you sew, so I would guess they might work for winding as well. I have a Janome and it does not like Aurifil either. I use Gutermann or Connecting Threads. Honestly...I have three different brands of machines(mid to high end price wise) and a friend who comes to quilt occasionally has a cheap (like $100.00 model) machine.They ALL love Essential Cottons from Connecting Threads. I tried a spool of Aurifil a while back. None of the four machines liked it. They all had different issues with it(some winding, some using bobbin, some as the top thread, etc). It is very nice thread, but (for me) not worth the hassle when a much cheaper (and stress free) alternative exists. Again, just me, lol...Good luck with it! Kenna , I am Alex from Aurifil https://www.facebook.com/alexveronelli and I am pretty sorry you did not enjoy great time using my threads . Can you help me understand & improve ? Are you using a large http://www.flickr.com/photos/alexveronelli/4846629264/in/set-72157624540868343 or small spool http://www.flickr.com/photos/alexveronelli/4846008597/in/set-72157624540868343 between my sizes available ? 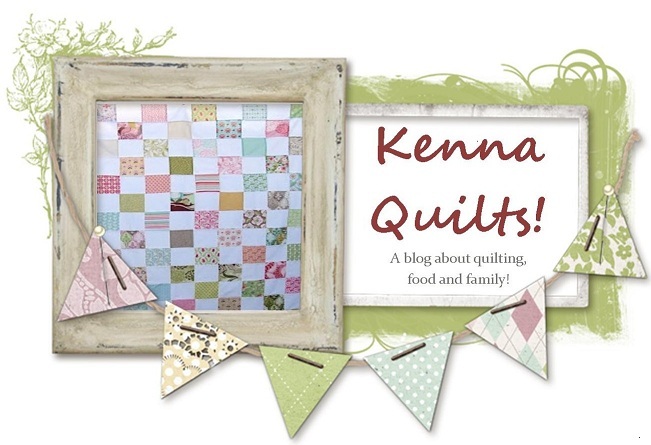 Kenna, I love Aurifil, and highly recommend it. My bobbins do not wind as tightly as I prefer, either. I have a Viking Sapphire. I wrap it around the tension disk as a loop, rather than just like a C and that seems to help. I've had messy bobbins even with that and sometimes hold the thread with my fingers. I'll have to notice if the vertical or horizontal spool holder makes a difference. But I never have an issue winding on my vintage Featherweight. Beautiful tightly wound bobbins every time. For me, this thread is still worth the investment. Have you tried using a different thread since trying the Aurifil? I get "nests" sometimes, but it usually means that the little tension thing that you stick your thread through is dirty, OR, your thread is not all the way in there. I use Gutterman and Connecting Threads thread also, but IMHO they are definitely not better than Aurifil. Hope you get it fixed! Hi there, a little com from Italy. I never experienced major problems with winding my bobbins with Aurifil threads (40, 50 and also the polyester) but, yes, it does work better if you place the spool vertically. As for sewing never had a problem using Aurifil horizontally. In any case, have you tried moving the base of the spool on the other side? That's a trick only Aurifil spools allow to use (I mean the large spools).... :-) and it definetely allows for better tension. p.s. I think it was very professional and kind of Alex to write on your blog to apologise for the inconvenience and get advice. I use Aurifil 50wt exclusively on my Viking Diamond and lightweight H-100Q. I always put the spool upright on both machines and have no problem winding my bobbins. Your machine may need an tension adjustment. I would also contact your dealer or the company customer service dept., explain the problem and hopefully they can help you out. I recently purchased a spool of Aurifil. I am really not sold on the stuff. I tends to break easily, it comes off the spool like a ringlet curl and when I am reaching to start or cut the stuff it is curled at the presser foot. Frustrating! I can also say that the plastic spool the wind it on does not fit my Bernina's at a horizontal. I had to cut the plastic at the top of the tread to make it work. All I have found with this thread is once you have it sewn into your project it's great. Once this tread is gone as it is expensive. I will stay with Guitermann or Connecting Threads.